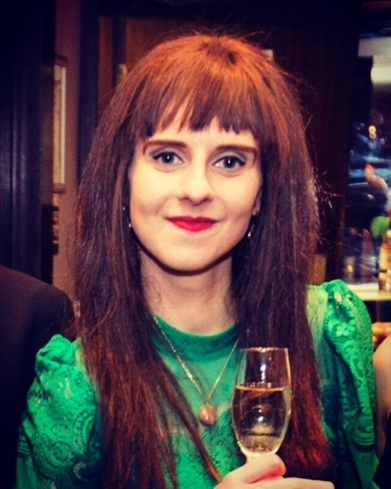 Louise Richardson is a PhD student at the University of Leeds. Her work focuses on satellite cells and their contribution to skeletal muscle plasticity, with a view to understanding more about genetic muscle disorders and sarcopenia. She has a Masters of Research with an in-vivo specialisation and a BSc. in Human Anatomy. In this post she explains the continued need for animal models in the investigation of terminal muscle wasting diseases, and outlines the many ways in which animal models have shone light on the workings of these conditions, as well as potential ways to treat them. I’m in the business of trying to understand muscle diseases. We don’t really think about how important our skeletal muscles are until something happens to stop them from working properly. Straining your back at the gym, pulling your leg when you bend it an awkward way…it can be a bit of a (literal) pain. But if you’re unlucky enough to inherit a genetic muscle wasting disorder, it can be so much worse. There are many different types of this disease, varying in age of onset, pattern of inheritance and life expectancy. Perhaps one of the most well-known muscle wasting diseases is Duchenne muscular dystrophy (DMD). Because of a genetic mutation on the X-chromosome, a vital structural protein called dystrophin can’t be manufactured properly by the cellular machinery. Normally, dystrophin would anchor skeletal muscle cells to the scaffold-like network surrounding the cells. Each of these anchoring connections contributes to the bigger picture; that is a structurally sound muscle strong enough to withstand the wear and tear of life. However, people with a lack of functional dystrophin possess muscle that cannot recover from micro-tears, and as a result wastes away over time. 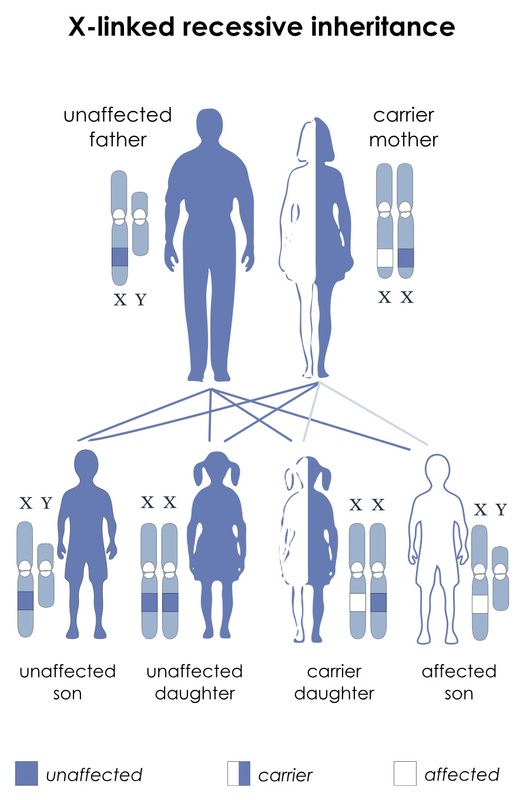 Due to a lack of a second compensatory X-chromosome, most sufferers of this disease are male, with a typical onset age of 4 years old. The progression of the disease is devastating and survival beyond late twenties is rare. The disease affects around one in 5,000 males. Unfortunately, there is currently no cure for DMD, but that’s not to say that there isn’t a lot of work being devoted to finding new treatments and methods of symptom management. 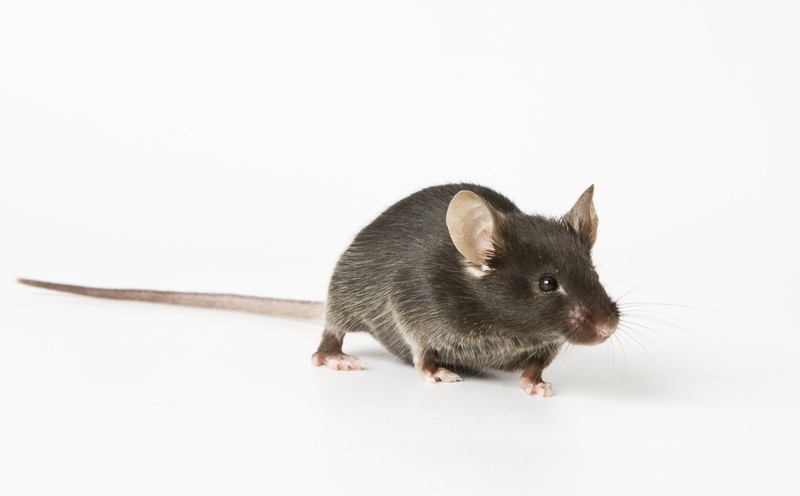 One of the most useful tools in DMD research is the dystrophin-deficient mdx mouse. This animal model possesses a mutation in the gene that codes for the dystrophin protein, and while it does not nearly exhibit the full range of symptoms that human patients do, it has shone a great deal of light on the molecular mechanisms behind this unforgiving disease. The comparatively mild phenotype of the mdx mouse is beneficial from a welfare perspective, as the animal can provide important genetic information without suffering as humans do during their time in the laboratory. Wielding knowledge of the mutation’s location, the mdx mice have provided a springboard to explore the potential of a pioneering genetic treatment known as “exon skipping”. Simply put, this allows cellular machinery to “skip” the part of the DNA sequence that contains the faulty gene coding for the corrupted dystrophin protein. This then allows the normal pieces of DNA, either side of the faulty section, to join up and make a more functional version of the dystrophin protein. Successes seen in experiments using the mdx mice has paved the way for the beginning of human clinical trials using this exon skipping method. In many cases, it has been found to slow the progression of the disease over the course of several years. Excitingly, the idea of exon skipping is still an area of frantic research, with work being published regularly suggesting new techniques and refinements. The momentum that has been gained over the years instils hope that one day in the near future patients will have the option of a strong, personalised genetic therapy programme to fall back on following the diagnosis of a disease that is (sadly, but accurately) branded a “death sentence”. Scientists haven’t been resting on their laurels with the animal models, either. While the mdx mouse is the most commonly used model, several refinements have been made to create other rodent models that are more closely representative of the human experience of DMD. By ablating certain genes that were suspected to produce proteins capable of compensating for the lack of functional dystrophin, mouse models have been obtained that display the characteristic symptoms of DMD such as cardiomyopathy and reduced lifespan. Some examples of alternative models to the standard mdx mouse are mdx/Utrn-/-, mdx/Dtna-/-, mdx/α7-/- and mdx4cv/mTR-/-, to name but a few. While non-human animals will never be perfect models for human conditions, scientists are constantly refining these disease models. This constant improvement, in my opinion, justifies the use of animals, even when early studies may not yet adequately reflect all aspects of the disease. We cannot create an animal model that has one crucial feature in common with a human disease (for example, a mutation at the same location on an equivalent chromosome) and expect all findings to translate flawlessly to humans. Instead, we can make it a priority to identify the areas that do not line up between species, take measures to account for them and in many cases overcome them. The discrepancies themselves are a valuable source of information regarding our own susceptibility to certain diseases, and the unique way in which they affect us. The rich history of DMD research is a testament to this; much information has been gained from mice regarding compensatory proteins such as utrophin and the benefits of longer telomeres in mice, contributing to more efficient regeneration of muscle compared to humans. These nuggets of information are vital springboards for exploring new therapeutic and curative avenues. The limitations of animal models in this area present challenges to finding treatments, but it has by no means prevented it. With regards to a diagnosis of DMD, the clinical trials made possible by animal research allow there to be a “What if”, following the blow of “I’m so sorry, but…”. And that glimmer of hope is the very reason that we persist. Posted on May 24, 2018 by EditorPosted in Guest Post, News, Science NewsTagged duchenne muscular dystrophy, mdx, mice, muscular dystrophy. Next Next post: Research Roundup: Umbilical blood aids stroke recovery, promising Ebola vaccine put to test and more! Louise has provided a very nice summary of the contributions that animal models can make towards understanding the disease mechanisms and evaluating candidate therapeutics for Duchenne. It’s important to understand one of her key points–that any animal or cell surrogate of the disease is indeed a “model.” It does not mean, and no mouse ever can, “it has the human disease.” That doesn’t mean that the mouse is not incredibly valuable–it is. The key is to figure out how best to utilize the models we have at hand as tools to unlock therapies for the disease. Like any tool, the mice must be used correctly. First, we must understand what we can get from the model. Showing that a drug gets to the target and results in increased production of dystrophin is very likely a reasonable goal. Showing that a drug leads to the mouse no longer having physical symptoms of Duchenne may not be a reasonable expectation. Louise makes this point. Second, mouse studies must be treated like human clinical trials if there’s an expectation that they may inform us whether a candidate therapeutic works…or not in the mouse. These mouse trials have to be done rigorously–with appropriate powering, randomization of mice to control and experimental groups, and blinding of the experimenters as to which mice get drug or placebo. The number of drug development efforts that have been misled by poorly conducted and analyzed mouse studies is staggering. It’s not the mouse’s fault, but how the studies were done. Time to always do them with true rigor if the intent is to decide whether to move forward with a clinical trial. Hype and hope alone do not make for a drug–they only lead to failures at a later stage of development. Pragmatic drug development requires go/no-go decisions at each stage of development–if the data from the mouse is weak, everyone is wasting their time and an effort should go forward only if there is compelling hard data. Generating the hard data, acquired via studies that ask reasonable questions of the mouse model and do it in a very rigorous way, is how we will effectively evaluate candidate therapeutics and get from the mouse to truly effective drugs for Duchenne.